Get ready to pump up your digital marketing with a gym app from appsbar, the free mobile app builder. appsbar has taken the mobile market by storm by providing a free app creator for individuals and businesses to make mobile apps themselves for free. With four major smartphone providers and more on the way, the cost of creating an app for each one is astronomical. The average app developer does not specialize in every platform and that leaves you having to find multiple developers in most cases charging $10,000 to $100,000 per app per platform. Digi, our app building wizard, has a program for you and the most amazing thing of all is that we are free. No strings attached, no hidden fees, no limit on downloads, 100% free. Before appsbar, you had to create separate apps for Android, iPhone, Windows Phone and Blackberry. 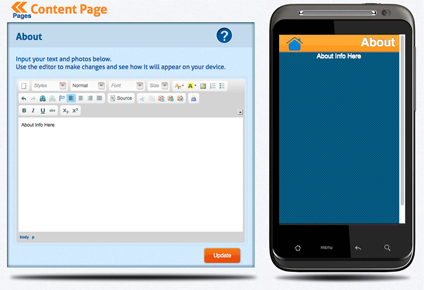 Using the cutting edge technology HTML5, appsbar allows you to make one app that operates on every smartphone platform. If none of this makes sense to you, do not be concerned. Digi and the staff here at appsbar have taken care of all the heavy lifting it takes to produce apps and have created a system where the only requirement is to sign up for a free account and simply upload your content. It’s as easy as creating a Google+ fan page. The majority of the 100,000 members in our app making community (Digi considers you all family), have created one or several apps for their interests, brands, companies and gym’s. 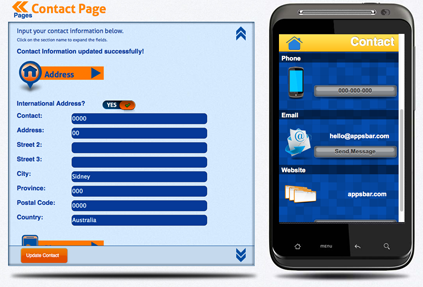 After you create your mobile phone app it will be published in two places. First it will be published to appcatch.com the free app marketplace. You can send all your family, friends, fans, clients, prospects and supporters to appcatch and they can download you app right to their smartphone regardless of make. appcatch is quickly becoming the new phone book for small and medium sized businesses like yours. In addition to appcatch, appsbar will publish your app to Google Play for free, where it has the potential to be found by the millions of Android users that are searching for free apps. Below you will see nine pages that we have added to your gym app, we think you will like. You may add or remove as many pages as you like. 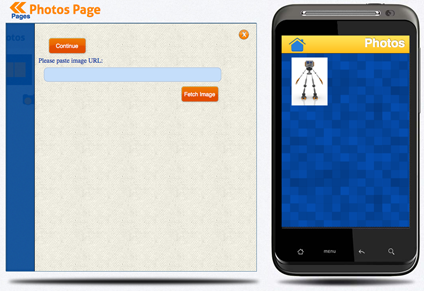 Our app builder has done all it’s stretching exercises and is very flexible. If you have any questions along the way, email customerservice@appsbar.com and one of our pro app team will get back with you during normal business hours. The About Page gives you the ability to use text, images or a combination of both to tell people about your gym, how you got started in the fitness industry and why you are passionate about helping people achieve a healthier lifestyle. 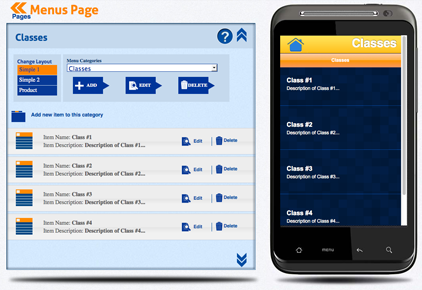 The Classes Page you may post the names of all the classes you offer at your gym and a description of each one. This will give people a chance to educate themselves about the amazing options they have to stay fit. The Trainers Page you may list all of your trainers, their certifications and specialties, and a bio of each one. Your trainers work hard for you and this page allows them their chance to shine. 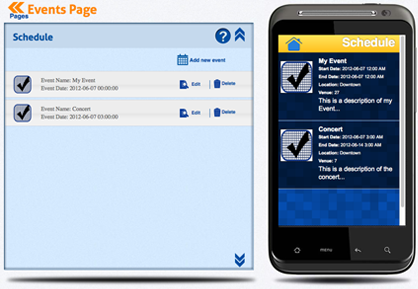 The Schedule Page is one of the many pages that will keep people checking in with your app. You can update your app as much as you like with new dates and times for classes or special events. You can stay in touch with your members on the go because all they have to do is click your app icon on their phones and see what time the next class is. That’s what Digi calls efficient. The Photos Page you can include pictures of your gym, members that you have whipped into shape, new equipment or anything that represents your brand. 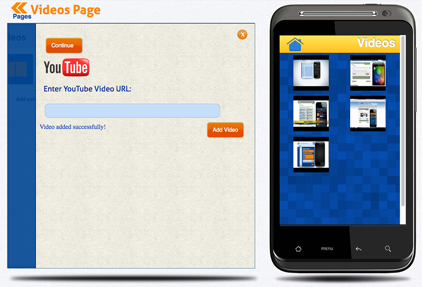 The Videos Page You may link up all your YouTube and MP4 videos on this page. YouTube and videos in general are an amazing way to expand the reach of your gym. The Social Links PageThe social page is where you include all the social networking links where you have signed up to promote your gym. 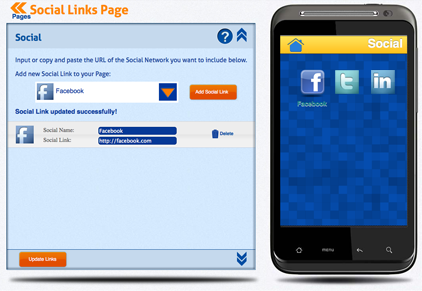 After downloading your app, users can keep up with all your social profiles on this page. The Contact Pageyou can add your phone number, address, email and website information here. In addition to being able to keep up with the latest happenings at your gym, everyone knows exactly how to stay in touch. 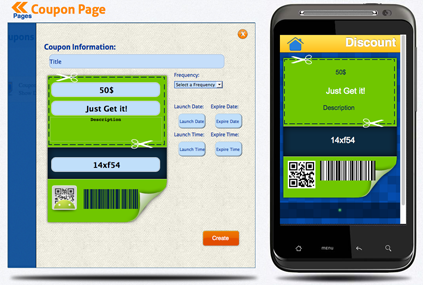 The Coupons Page is where you can create offers that your user can use for discounts your gym is offering or will be offering in the future. If you offer a free training session when a member refers a friend or a free body fat analysis with a new membership, create the offer here. How to make an App!